He’s already made his feelings clear about the need for change, and now Greg LeMond has issued a statement explaining why he believes that Brian Cookson is the right person to lead the sport forward into the next four years. The triple Tour de France winner has declared his support for Cookson, saying that a recent meeting with him helped reassure LeMond that the Briton was the right person for the position. “I have met and spent some time discussing with Brian about where cycling lost its way, how it lost its way, and what to do to bring the sport back to where it is not only a sport that leads by example, but a sport that inspires people once again,” LeMond stated, speaking from Eurobike in Germany. LeMond has had several clashes with the UCI since retiring from the sport, and last October issued an open letter calling on both McQuaid and the previous president – who is the current UCI honorary president – Hein Verbruggen to walk away for what he said was the good of the sport. “Pat McQuaid, you know dam [sic] well what has been going on in cycling, and if you want to deny it, then even more reasons why those who love cycling need to demand that you resign,” he wrote in that letter. “Pat, in my opinion you and Hein are the corrupt part of the sport. I do not want to include everyone at the UCI because I believe that there are many, maybe most that work at the UCI that are dedicated to cycling, they do it out of the love of the sport, but you and your buddy Hein have destroyed the sport. LeMond was one of Lance Armstrong’s biggest critics, redflagging his compatriot’s suspect use of the known doping doctor Michelle Ferrari during his career. He was threatened by Armstrong as a result and ultimately sued by the Trek bicycle company, which had close links to Armstrong and which was acting as a distributor and developer of the LeMond brand of bicycles at the time. As a result of the previous close association between Armstrong and Verbruggen, LeMond also got flak from the Dutchman and McQuaid at certain times. 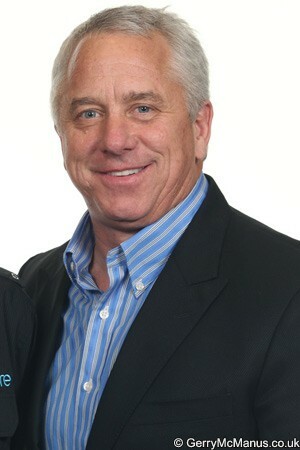 He has also played an active role in calling for change; LeMond was one of those who was present at the Change Cycling Now summit held in London last December, and said then that he would accept the interim position of UCI president if McQuaid could be permitted to leave and if there were no other options as regards people to take his place until the 2013 election. LeMond told VeloNation in June that he believed that the emergence of a challenger was a crucial step forward for the sport. Until Cookson declared that he would run, McQuaid was the sole candidate for the position and could have been re-elected unopposed. Instead, once Cookson put his name forward, it ensured that there would be at least two candidates going head to head. Now, having had a chance to speak to Cookson, he said that the correct candidate is clear. “The choice between Pat McQuaid and Brian Cookson is, I believe a clear one: only Brian can deliver the change cycling needs,” he said. Meanwhile USADA CEO Travis Tygart has responded to a VeloNation question on the matter of the presidency. He said that while he didn’t want to get drawn into discussing the election, that he did appreciate a past action by Cookson. “We are not in the politics…our role is to do what is best for clean athletes,” he said, making clear that he didn’t want to engage in a discussion of one candidate versus another.